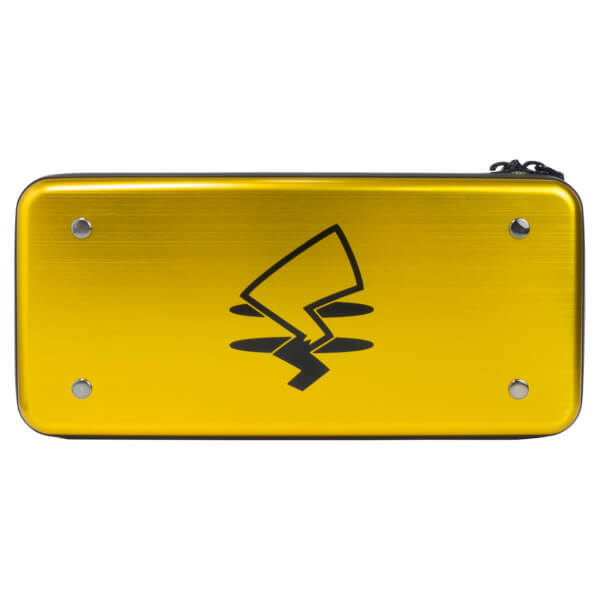 With this Nintendo Switch Pikachu Aluminium Hard Pouch, you can play your Nintendo Switch anytime, anywhere in style. 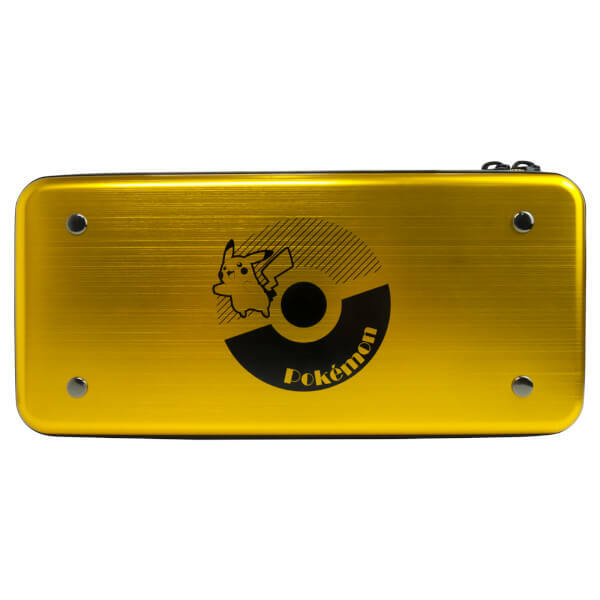 The case features an aluminium finish design in gold with Pikachu himself over a Poké Ball insignia on the front and Pikachu's tail on the rear. 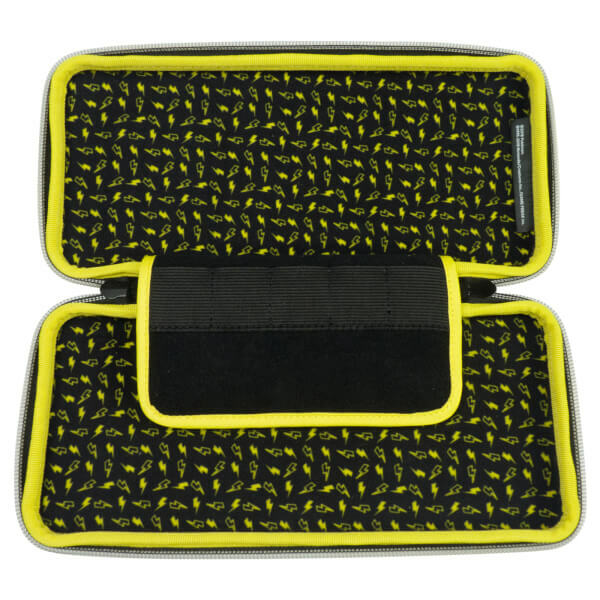 Offering outstanding exterior protection for your Nintendo Switch and an equally protective padded interior, it also contains a storage pouch for up to five Nintendo Switch games or Micro SD Cards. Protect your Nintendo Switch from dust, bumps and scratches. Firstly, the case is very rugged and the Aluminium constructions really helps protect the Switch. Secondly, the colour of the case doesn't quite come through on the store. 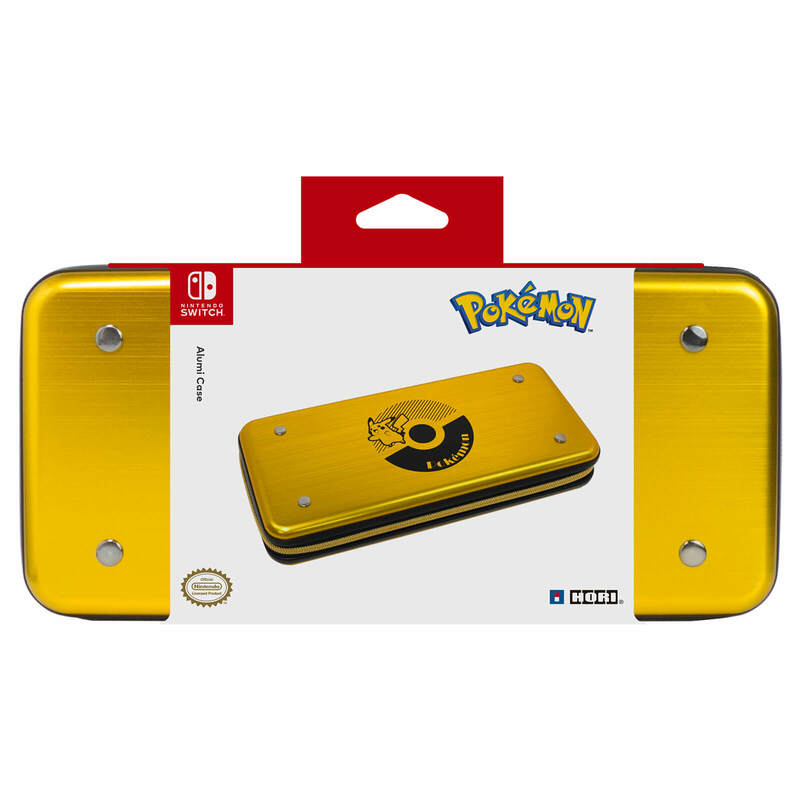 The case is, infact, a nice shiny gold colour and looks brilliant! Perfect! The Switch fits snugly inside and there are 8 slots for game cartridges! It's also a very solid case so I am not worried about damage. Offers great protection for your switch which is the top priority, well made and above all, it looks fantastic! Looked at may cases but this one really is the bees knees.